How can Ecovim help my organization? What does it do? The Ecovim food waste reduction system is a garbage dehydrator, extracting water and transfering the solid matter (food waste and other biodegradable material) into a concentrated compostable material, reducing waste removal costs and improving the environment. In 2014, Massachusetts law required all commercial establishments who generate 1000 pounds of biodegradable waste to contract with a composting firm. 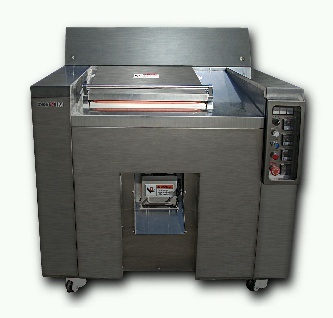 The ECOVIM dehydrator will help offset the increased waste removal cost. 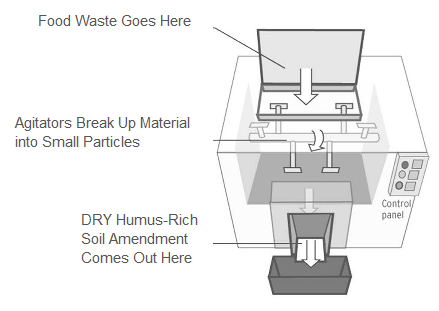 Converts food waste and other biodegradable materials into concentrated compost.